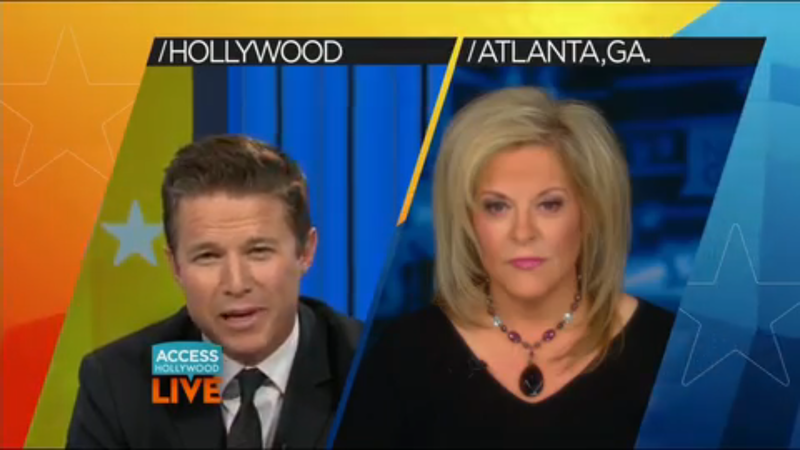 HLN anchor Nancy Grace appeared on Access Hollywood with Billy Bush today, to rehash the Making a Murder controversy. She appeared on the show last week to offer up her analysis, but host Bush wasn’t on, because he was reporting on the Oscars. Grace accused him of being “too scared” and sending one of his reporters to interview her instead. The interview got a bit contentious at points, and in the middle of the interview, Grace simply sighed, indicating she had had enough. But Grace was done. “You know what, it’s time for me to start my show taping, I’m five minutes late.” And then she took her mic off and walked off the set.